These days, it looks more and more likely that technology will take over the world, with the prominence of digital marketing and online buying habits. That may be, but we haven’t quite reached the point where robots are measuring us for our underclothes online. This is Pepper. He sells Nestlé coffee machines at an electronics shop in Tokyo. Perhaps we’re closer than we thought? 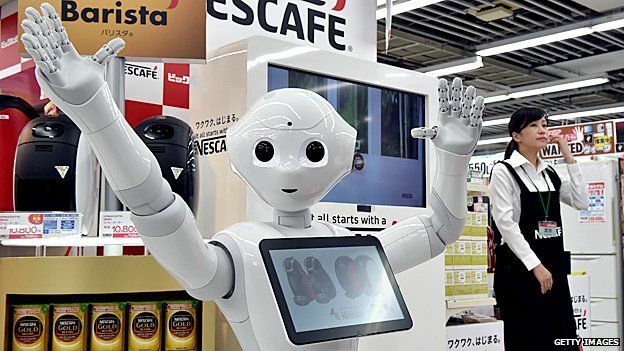 Pepper may be a robot, but he’s still in-store, and this shows us that we still need tactile, bricks and mortar experience points. That’s why we’re chatting to our activations expert today, to give some answers on how you go about integrating activations into your campaigns. We know that in South Africa, just under half of all shoppers prefer to touch and feel products before they buy them, according to an article by Samantha Steele published in FNB’s Siyasiza magazine in December 2015. This is great news! It means that we can still supplement our integrated campaigns with real-life human interaction and brand experiences, and make it work for our product sales. Andries van Wyngaard, Business Unit Director at Penquin and activations expert, answers some questions on how, why, and what activations are great for an integrated marketing campaign. We know that you love activations, but could you give us one se ntence on exactly why everyone else should want to include them as part of their integrated strategy? One sentence? Goodness. There are a lot of reasons to include an activation. The most important is that it’s another great way to bring your brand to the consumer, but this way, you are more likely to bring the brand to them when they’re in a space that the need is felt the most. Could you give an example of the consumer need being satisfied by an activation? I could give you ten. The two I think show it best are a) on-campus activations for students, promoting brands that satisfy their needs as students, like software, or internships (or even cars), and b) gaming consoles on display to interact with at shopping centres, right outside the outlet that sells them. It’s convenient, it’s relevant, and it’s easy to close a sale. Consumer Experience and Engagement is a massive focus this year. It’s one of the topics that regularly appear on the scene as trendy and necessary. Most people, though, speak of it as a purely digital endeavour. Is it? Not at all. A consumer playing a game on a console in a shopping centre, getting a feel for it, is the most engaged that a consumer could possibly be during the decision making process. Letting the consumer learn about the product and interact with it in a real environment gives you a powerful and immediate selling opportunity. If they love it, they will buy it right now. What’s important to remember is that the experience gives them a great feeling, and that great feeling will encourage them to buy the product. With an activation close to the outlet, your chance of closing a sale is huge. Even in a situation where you don’t have the product (or a product they can touch) on hand to play with, you can hand them information that attracts them, and then directs them to the nearest point of purchase. It’s engagement, but it’s also direct selling, using the brand name that’s been advertised somewhere else. That’s integration. We put a lot of emphasis on relationships in marketing. How do activations help you to maintain these? There are a few types of relationships to take into account. Your brand reps building a relationship, like they do online, or in a situation where the product is not physical, is crucial. Brand reps also communicate with customers at an activation and educate them on the product. But activations also grow other relationships, like the product or brand relationship, which is grown through experience of the product, as well as knowledge and understanding of the product. Sometimes, you have to touch the product before you buy it, taste it before you love it, or research it before you even know what it is. These are the relationships that activations are best at. 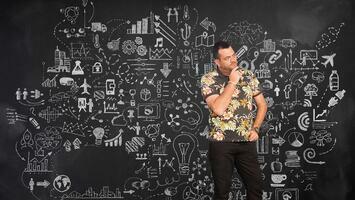 What makes an activation a stand-out option for a brand, when they could just do some online promotion? It ties into the brand sentiment that the product needs to generate. It’s a better way to generate awareness and sentiment. I always compare it to rugby. Watching the Boks play on TV is cool and exciting, but it has nothing on the feeling that you’d have after chatting to them in the locker room after watching them play live. Getting up close and personal with your customers generate positive feelings about your product, and makes customers feel closer to it. This leads to a healthy increase of trust in your product. Activations let you remove the doubt that a consumer may have about the quality or effectiveness of the product. It’s the final step in an integrated campaign, and helps close the sale. Is it a tough job to engage people if you aren’t the Boks? We’ve all had experiences with those guerrilla promoters in malls who rugby-tackle you (see what I did there?) to exfoliate your hands. How do you avoid making people run in the other direction? It’s really all about the product and how much people know about it. That’s why having other marketing or advertising platforms is ideal, because it teaches people about the product before they reach your brand activation. Customers can feel pressurised when they’re being sold something they’ve never seen, and when the full buyer's journey is condensed into one minute. A fun, interesting, activation will also always make a difference, with promoters who know what they're doing, and who they should be targeting. Does it make sense for brands to outsource their activations to professional activation providers? Absolutely. While you are busy communicating, aligning with your strategy, and making sure you have the right people there to communicate with your potential customers, you need someone to be managing the logistics and set up. Splitting your attention means that you will only have time to do half the job you could be doing on your actual sales and relationship building with your customers. And there you have it - an expert's opinion. If you think he might be a little biased, pay attention to the thousands of promotions you see every month. Which ones work and which ones don't? How did they make you respond positively, and which of our expert answers apply? Remember that an activation is there to satisfy a need and create a positive feeling, and if it achieves these, you've got activation gold. After all, it's all about consumer relationships. If you need some more tips on relationships in marketing and how to juggle your integrated campaign with minimum fuss, read our post by myself and Gary Whitaker on multiple-agency management.